The Island Queen Ferry Dock is easy to get to and there’s no parking hassles. General Parking fee is $20.00 per calendar day (cash only) and Dockside Valet Parking fee is $30.00 per calendar day (cash and credit cards) on a first-to-arrive basis. We have room onboard for bikes, kayaks, surf boards, and paddle boards. Enjoy our enclosed lounge, outside decks, snack bar and friendly crew! Daily sailings beginning from late May to mid October. Falmouth Dock Ticket Window opens daily at 8:00AM daily (seasonal) Credit Cards and Cash accepted. 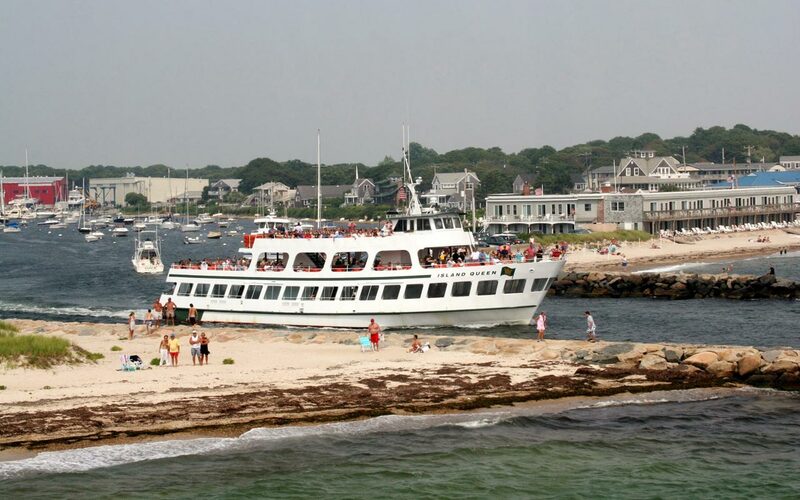 Passengers departing from Martha's Vineyard may purchase tickets onboard the vessel at the snack bar. Vessel accepts cash only. 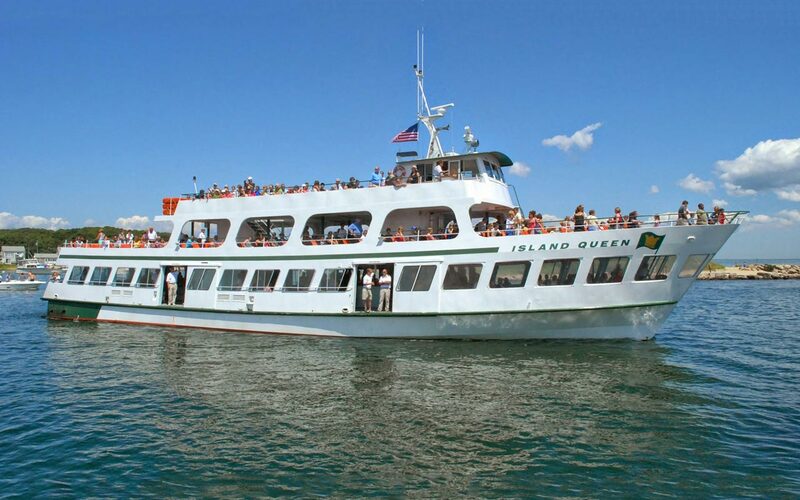 Ferry tickets are open ended for any day and departure time and are not a reservation. Passengers are advised to arrive at least 45 minutes prior to departure for parking and ticketing, especially during July & August. The main deck of the vessel is accessible to wheelchairs and electric scooters. We welcome pets who are properly leashed or crated at no additional charge.